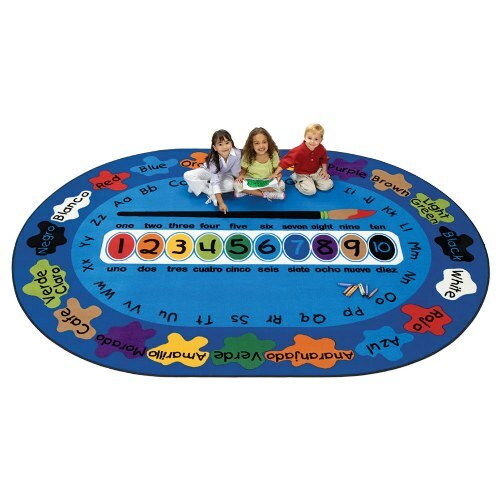 Paint the town rojo with this fun bilingual oval rug! 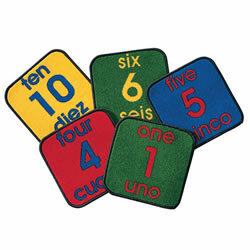 Children will learn colors and numbers in both English and Spanish, while practicing their alphabet skills as well. Choose from 3 sizes. 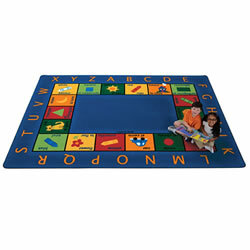 Read our Insights and Inspirations article for a list of factors to consider as you choose carpets and rugs for a classroom or ECE environment. We add a surcharge for expedited delivery of a few items because of their weight, size or dimensions. This charge is in addition to our base shipping charge for Next Day or Second Day Air.